FINAL SALE. The lovely combination of blue and white in this dress reminds us of vintage porcelain china. The Porcelain Doll Blue and White One Shoulder Dress is fully lined and made of 100% cotton. It has a white background with a blue print of flowers and flourishes throughout. It has one shoulder and a lined and lightly padded bust for support. At the bottom of the skirt is a dark blue embroidered design that adds the perfect amount of texture. A hidden back zipper completes this dress. The Porcelain Doll Blue and White One Shoulder Dress has a nostalgic feel to it—it’s the perfect cotton sundress to wear with white pumps and a clutch for a fresh summer look. Details: Made in USA. Fully lined. Lined and lightly padded bust for support. Hidden back zipper. 100% cotton. Dry clean only. Iron as needed. Small measurements: Length from top of shoulder to hemline: 32”. Bust: 32”. 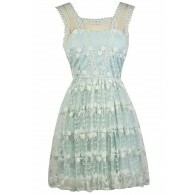 You have added Porcelain Doll Blue and White One Shoulder Dress into Wishlist. You have added Porcelain Doll Blue and White One Shoulder Dress for Stock Notification. 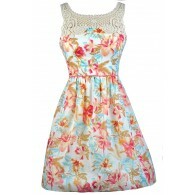 You have set Porcelain Doll Blue and White One Shoulder Dress as a loved product. 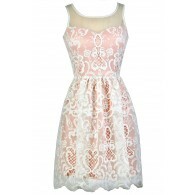 You have removed Porcelain Doll Blue and White One Shoulder Dress as a loved product.